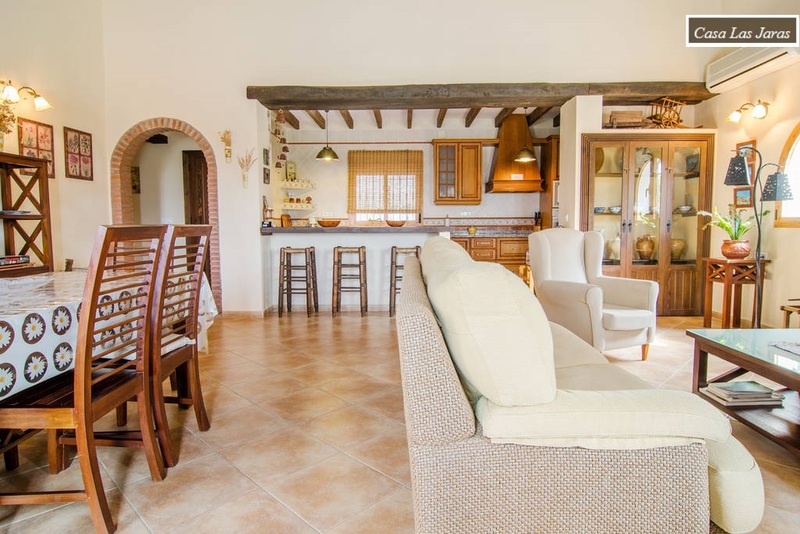 Spacious and stylish, this is a genuine piece of paradise tucked away in the Andalusian hills. While not professing to be of high luxury, the ambience is comfortable, light and airy, and the property has everything you need for a perfect holiday. Entry to the house is into the open-plan double-height ceiling living/dining room with fireplace, 42" Flat Screen (with T.V. SAT) and DVD player with USB reader plus a radio with CD player and USB reader; the well-equipped kitchen is separated by an American style breakfast bar with 3 high stools. Inside, all is spacious, comfy and cool. It's an attractive home which, although recently built, offers charm as well as excellent facilities. There is a large fireplace/wood burning stove (with heat circulation system) and also an A/C unit and several electric heaters -mobile radiators- and fans for the bedrooms and bathroom, making this an ideal choice at any time of the year. Soft colours and classic furnishings radiate calm and serenity. The dining area is adjacent to the living room with ample space for dining at the table with six chairs. 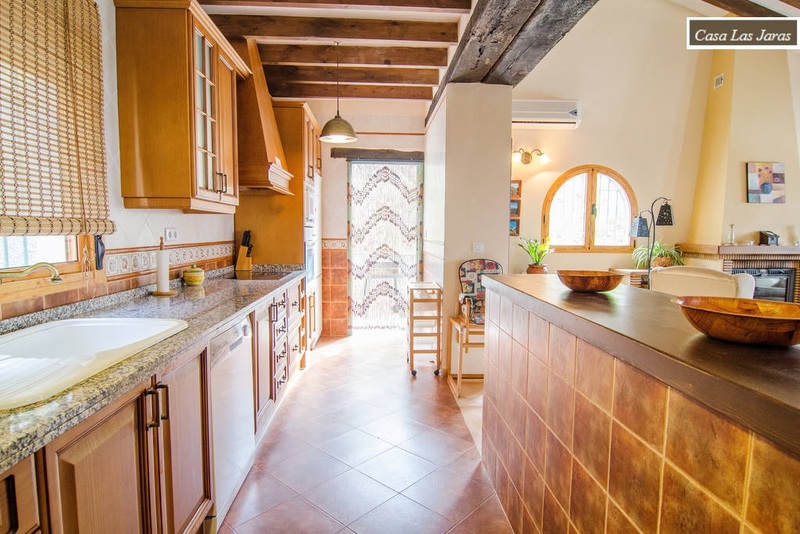 The house is built in the traditional Andalusian style with high ceilings and amazing wooden beams giving a grand feeling of space. The water heater, washing machine, iron and ironing board are in a separate utility room with an independent access. The kitchen has its own door leading to the terrace. 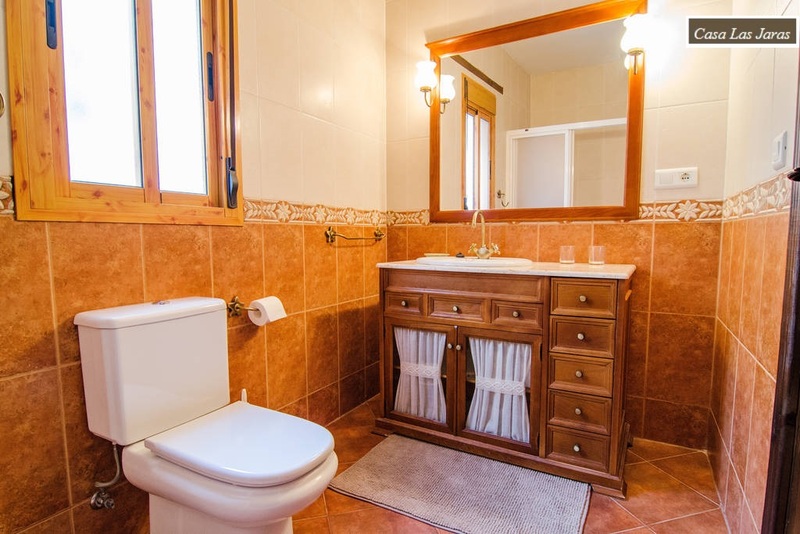 The charmingly rustic bathroom has a large shower with sliding screen, washbasin and toilet. 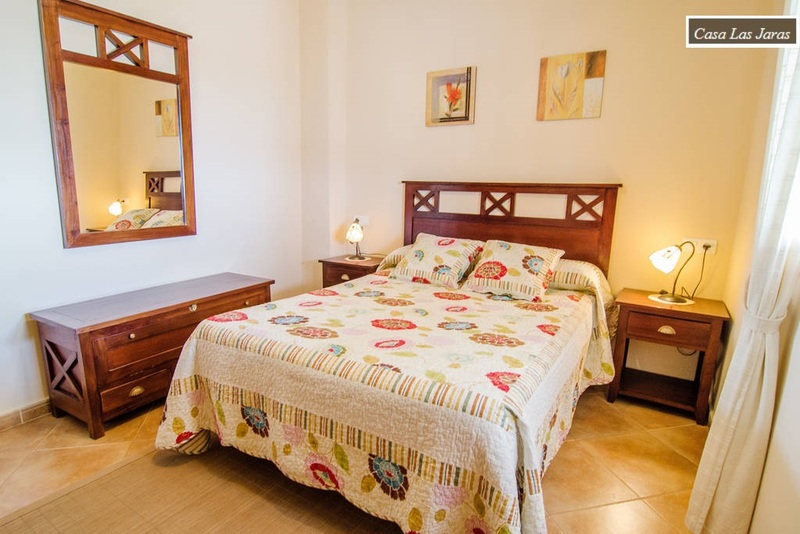 The two bedrooms (1 double, 1 twin) have built-in wardrobes and are comfortably furnished with good quality beds. A baby cot and a highchair can be provided on request at no extra cost. The ceramic floors, beamed ceilings and good quality furniture are not only indicative of the owners' good taste but also their eagerness to ensure that their guests are comfortable in their surroundings. 'One week at Casa Las Jaras. (Absolutely not enough time!) We loved our stay. The villa is simple but does what it "says on the tin" - relaxing, clean, comfortable, all with amazing views.....nothing else required'. 'We loved this week of relaxing, refreshing, and reconnecting here at the cottage!. Celebrating our 15th wedding anniversary in this beautiful place!'. 'Nice clean villa with great views. We were provided with good directions, so it was easy to find. You definitely need a car. House is clean. Located in a peaceful place. Has beautiful views. We had a great time near the pool. 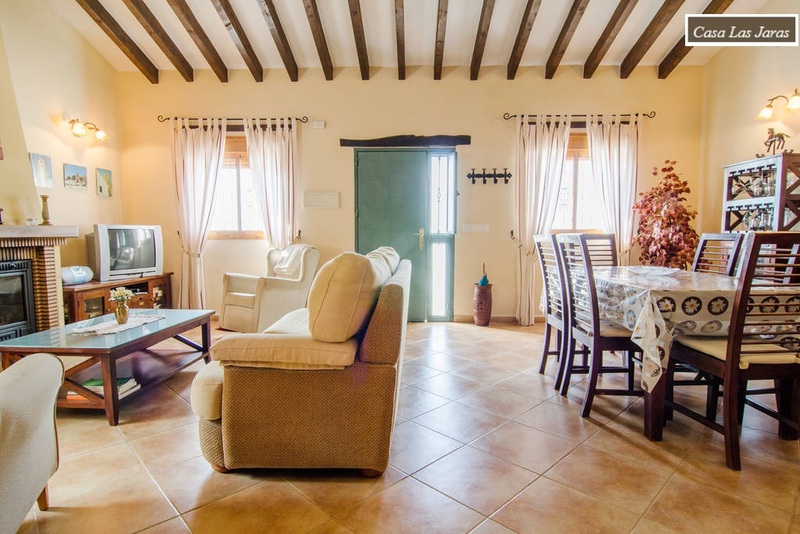 The villa is well furnished, TV, DVD, kitchen equipment. Would definitely recommend. 'We left London in the rain; Arrived to Las Jaras in sunny Spain; Beer & cava oh so cool; We quenched our thirst by the pool; Las Jaras what a delight; It's so tranquil day & night; Thank you for a perfect holiday we forgot about the outside world for a whole 14 days in our Las Jaras bubble. 'We visited Malaga towards the end of October. We so much enjoy the total relaxation that we find at this lovely villa. The terrace and pool are beautiful and the surrounding area is so peaceful. 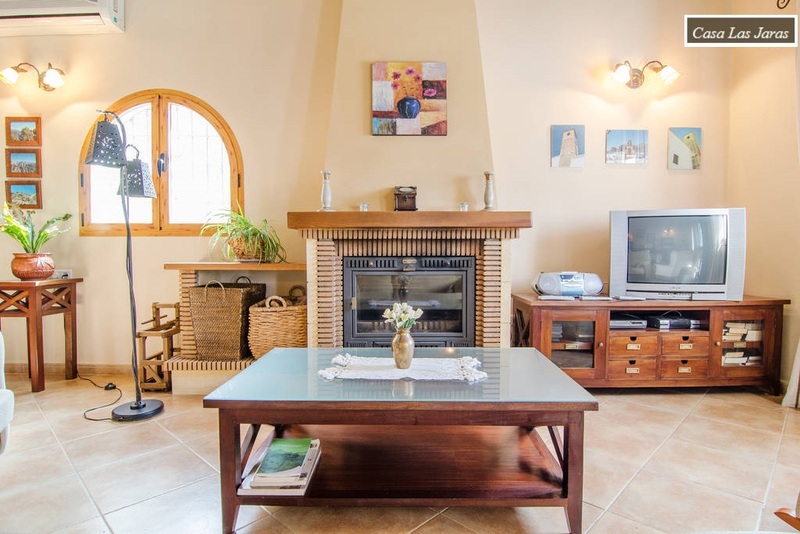 All in all this beautiful villa has everything you could possibly need for a relaxing, perfect holiday and we hope to return again very soon'. 'We had a great time staying for a week at Las Jaras. It was the ideal vacation home for us. We've been hiking every day but in the afternoon we both wanted to return to enjoy the house to the full, relaxing by the fireplace. Thank you for a great time, I would have loved to stay longer!. 'Fantastic villa, we had a great holiday here. The views from the terrace were stunning – a great place to sit at the end of the day with a nice chilled cava. Description of the property on the website was very accurate. Very quiet location, we were never disturbed by any neighbours and pool area not overlooked at all. 'We had a great holiday, the villa was in good condition, great pool, had everything we needed, will book this villa again, very good value for money'. 'Wonderful peaceful villa in a superb forest location”. 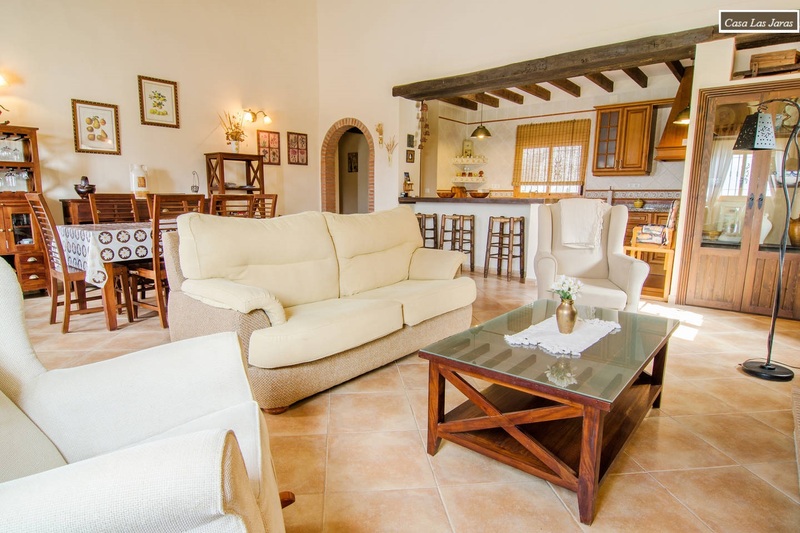 The villa is wonderfully equipped and maintained - fully up to the description on the web site. The terraces and pool are very private but with a wonderful view over the valley. The area is very peaceful and at night you can look across the valley and see no other lights. We rented a small car for our visit and found it ideal for the narrow local roads. Overall a nice villa in a great location. 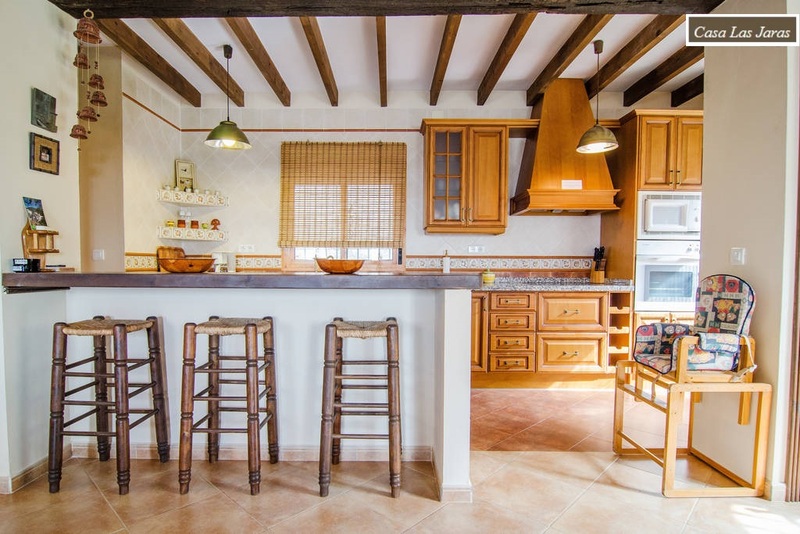 'This was our first visit to Spain, and on recommendation from friends we booked this lovely villa. We were not disappointed! Had many lovely days by the pool, or at local beaches, and on cooler days we were able to take trips. Lots to do, but the villa was hard to leave and had all we needed for a very relaxing holiday. Thanks for all the useful information as well'. 'I simply love this villa, and can see why it is the venue of so many people looking for a quiet getaway, far from prying eyes. It offers a private oasis to enjoy a complete escape from it all'. 'We had a great time. 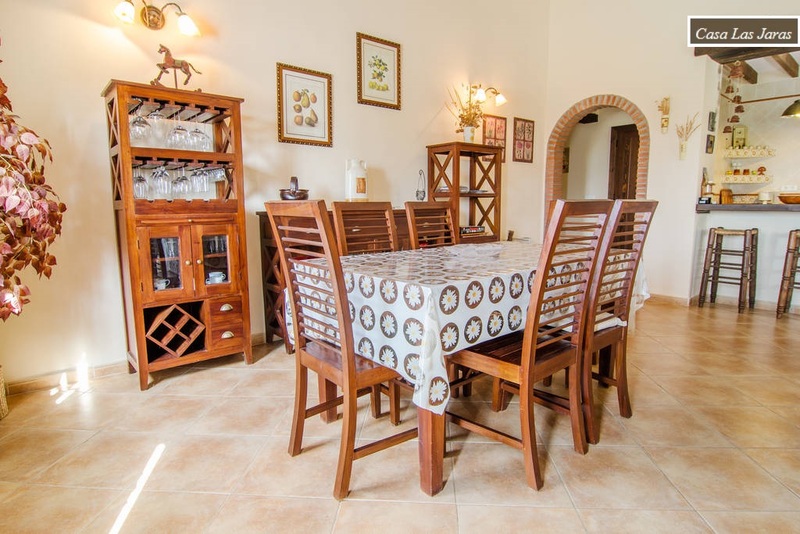 The villa was great and we found it very well furnished and well equipped. Lovely pool and very well looked after. Great restaurants in Competa, in fact we were very impressed overall by the food in Spain. Lots of places to visit, we particularly liked the Alhambra Palace. May was a lovely time of year to come to Spain, not too many people and not too hot!! Once again, great !! Highly recommended'. 'Just a quick e-mail to let you know that we absolutely loved the villa and had a wonderful holiday'. 'Fabulous property in idyllic location. We spent the most gloriously relaxing holiday at Las Jaras. The swimming pool was absolutely perfect. Highly recommended for a truly relaxing holiday in a superbly furnished property and a very beautiful and utterly unspoilt part of Spain'. 'We had a great time. 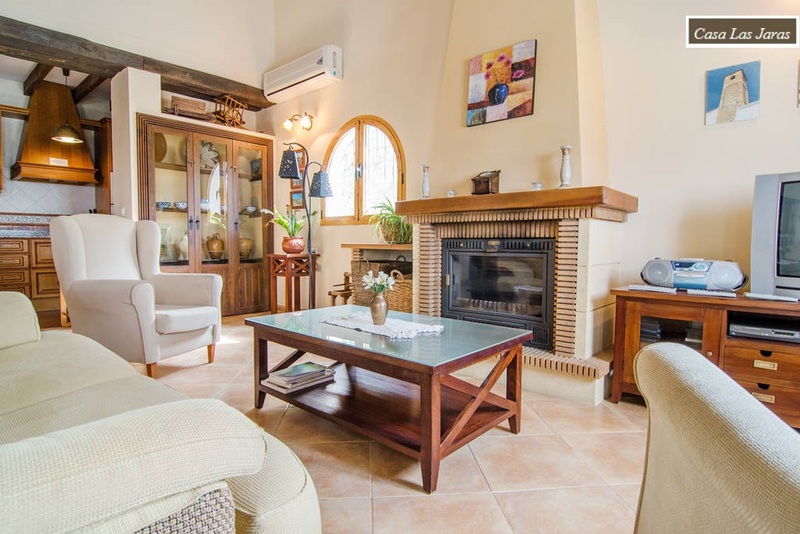 The villa was great and we found it very well furnished and well equipped. Lovely pool and very well looked after. Great restaurants in Competa, in fact we were very impressed overall by the food in Spain. Lots of places to visit, we particularly liked the Alhambra Palace. May was a lovely time of year to come to Spain, not too many people and not too hot!.Highly recommended'.